Further to an increase of the travel planning requests, we need to hold up momentarily our free help, as we cannot warrant an effective service, for lack of time. 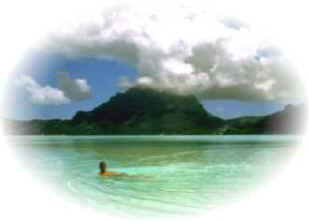 Nevertheless, we will remain at your disposal to answer all your precise questions concerning your travel on islands. As "World of Islands" visitor, we offer you a exclusive free service : our help to organize and to plan your journeys on the islands. It is not necessary to give us all the criteria above. Nevertheless, the more you indicate us, the more the offer will be likely to be convenient for you. As soon as we receive your request, we shall begin our searches to satisfy your wishes. These searches can take several days, but we shall hold you informed. If you agree with our offer, we shall give you the booking policy. Indeed, we are not a travel agency and consequently, we can not make a booking. You can make your bookings directly by the professionals, by one of our partner travel agencies in your country (you must only give them our file reference) or by contacting your travel agency with all the information we have give you. Then, if you look for a journey on the islands, as in your dreams, do not hesitate any more, contact us at orga@world-of-islands.com. Disclaimer : This service is free of charge and without commitment. Nevertheless, as the planning of such journeys takes a lot of time, we ask you to use this service, only if you really intend to do such a journey (while remaining free to accept or not). So, we will be able to continue to offer this exclusive service.